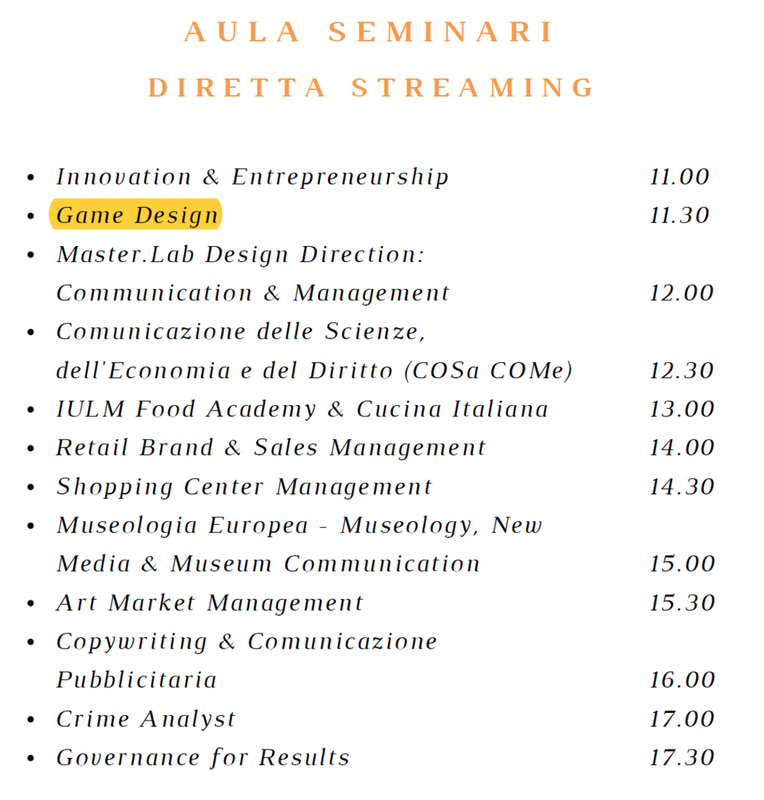 Mercoledì 19 settembre 2018 sveleremo il programma completo del Master of Arts in Game Design 2018-2019. La presentazione avrà luogo in Aula Seminari (IULM 1, sesto piano) dalle 11.30 alle 12.00. On Wednesday September 19 2018 we will officially unveil the full program of the Master of Arts in Game Design 2018-2019. The presentation will take place in Aula Seminari (IULM 1), from 11.30 to 12.00 am. Il Master of Arts in Game Design della IULM offre 5 Premi di Studio che ammontano a €4000. I premi saranno assegnati sulla base della valutazione dei docenti al termine degli studi agli studenti che avranno ottenuto il migliore rendimento. I Premi di Studio coprono all'incirca il 50% dei costi delle tasse (per gli studenti Italiani ed EU), ma non prevedono la copertura delle spese di vitto e alloggio e di viaggio. Possono vincere un Premio di Studio gli studenti regolarmente iscritti al Master of Arts in Game Design (2018-2019) secondo i termini previsti e le modalità di pagamento delle rate indicate. I Premi di Studio sono rivolti a studenti italiani, appartenenti alla comunità europea ed extra-EU. La pubblicazione delle graduatorie sarà comunicata il 15 luglio 2019. The M.A. program in Game Design at IULM University is offering 5 PRIZES each amounting to €4000. The prizes will be awarded to the best students based on an evaluation of their performance throughout the year by the entire Faculty. Each prize covers approximately half of the overall tuition fees (for Italian and EU students). Meals, accommodation, and travel expenses are not included. To be eligible for a prize, students must be properly enrolled in the 2018-2019 M.A. in Game Design at IULM University, in good academic standing, and with tuition fees paid in full. These prizes are available to all enrolled students, that is, Italian, EU-, and extra-EU students. The awarded students will be notified on July 15, 2019. Scuola di Comunicazione IULM mette a disposizione una serie di premi studio a copertura totale o parziale dell’intero importo dei Master Universitari ed Executive erogati presso la sede di Milano e Roma. Il premio sarà sempre un compenso economico a copertura totale o parziale del percorso formativo e potrà essere conferito solo agli studenti iscritti. L’ampia offerta formativa comprende percorsi dedicati a laureati che intendono completare il proprio percorso di studi e a professionisti che desiderano aggiornare le proprie competenze. I master prevedono stage, project work e study tour, partecipazione ad eventi in Italia e all’estero finalizzati ad accelerare la tua crescita personale e professionale. Scuola di Comunicazione IULM vanta una faculty di livello internazionale ed una percentuale di placement dopo gli studi del 70%. Compila il form e sarai contattato dallo staff di Scuola di Comunicazione IULM che ti fornirà tutte le informazioni di cui hai bisogno. On July 20, 2018, the students of the 1st Edition of the Master of Arts in Game Design presented their final projects to their peers and faculty. It was a showcase of sheer creativity, ingenuity, and craft. The finished projects will be presented to the general public at GAME SHOW on Friday October 12, 2016 at IULM University between 6 and 7.30 pm. Mark your calendar and stay tuned for more! Matteo Bittanti, Pietro Righi Riva and Paolo Tajè introduce the Master of Arts in Game Design, now in its second edition (Academic Year 2018-2019). If you dream of becoming a game designer, this is the program for you! The presentation is in Italian. Matteo Bittanti, Pietro Righi Riva e Paolo Tajè introducono il Master of Arts in Game Design della IULM, giunto alla seconda edizione (Anno Accademico 2018-2019). Designers have to tell in advance how gamers will comprehend, feel and interact with their games in order to craft successful gaming experiences and avoid frustration, doubts or uncertainty. And since user testing is a powerful tool to verify designers' intents and predictions, Games User Research is a powerful ally. In this workshop, I will show how the science of user testing made your favorite games perfect and I will provide attendees with takeaways they can use to improve their own projects. Pietro Guardini is an independent Games User Researcher with a PhD in Experimental Psychology and 19 years of research experience. He started doing research on Human-Computer Interaction in 1999 in the academy and later he entered the gaming industry by introducing User Research activity in Milestone – the major videogame studio in Italy – and by supporting Management, Design and Marketing departments with research and testing on 20+ published titles. More recently he founded StopGuessing.it and today he assists several studios in developing their best gaming experience. He had the pleasure to present his work in several publications and talks, including the Game Developers Conference. Pietro Polsinelli discusses a diverse set of applied game projects that he curated, focusing on common mistakes and solutions that are specific to the applied game process, in particular working with field experts that have no experience with games. The talks will consider the (no)estimation, concept, design and production phases/loops, providing tips, modelling and conceptual tools to improve the quality of the process and of the resulting game. Pietro Polsinelli is a game designer and developer, mostly working on applied games. Polsinelli has developed games for companies, public institutions, museums, and research centres on a wide spectrum of topics, from the safety of offshore platforms to family neglect and abuse prevention. Polsinelli has been developing software for more than 30 years and applied games since 2010. For more information, click here. Pietro Polsinelli presenta una vasta gamma di progetti videoludici che ha personalmente curato, soffermandosi sugli errori e le soluzioni specifiche al processo di gioco applicato, lavorando con esperti sul campo che spesso non hanno alcuna esperienza nel settore del videogioco. La presentazione descrive le fasi di (s)preventivo, ideazione, progettazione e produzione, fornendo strumenti concettuali e pratici per migliorare la qualità del processo e del videogioco risultante. Pietro Polsinelli è un game designer e sviluppatore, impegnato soprattutto sui giochi applicati. Polsinelli ha sviluppato videogiochi per numerose aziende, istituzioni pubbliche, musei e centri di ricerca su temi eclettici e diversificati, dalla sicurezza delle piattaforme offshore alla prevenzione degli abusi familiari. Polsinelli sviluppa software da oltre trent'anni e giochi applicati dal 2010. Per ulteriori informazioni, cliccate qui. In this talk titled "Influencer Marketing. 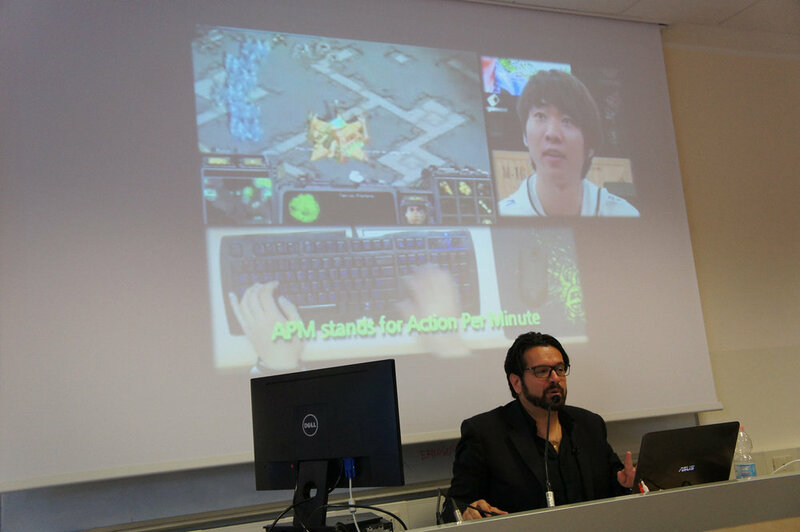 Video Games and eSports" organized for the students of the Master in Marketing and Sports Communication and Master of Arts in Game Design at IULM, Antonio Iodice gave an in-depth overview of the new modes of production associated with Content Creators on YouTube and Twitch. Focusing on the so-called "anomaly of the Italian scene", Iodice discussed the rise of branded content and product placement on YouTube, the evolution of the agency model for YouTube celebrities, and the parasitical relationship between game publishers and Content Creators. Antonio Iodice was one of the editors of Multiplayer.it where he worked between 2002 to 2015. In 2013, he became marketing manager of Multiplayer.it. Between 2015 and 2018, Iodice worked for Web Stars Channel, Italy's key web agency that signed, among others, Favij and the Mates. At Web Stars Channel, Iodice was Head of Gaming, Movies and Tech as well as a Commercial Coordinator. He was also the show-runner for a show on Sky One, produced a pop-up channel for Sky Atlantic and played the role of General Manager for the production of two documentaries broadcast by Sky Atlantic on eSports and cosplay. 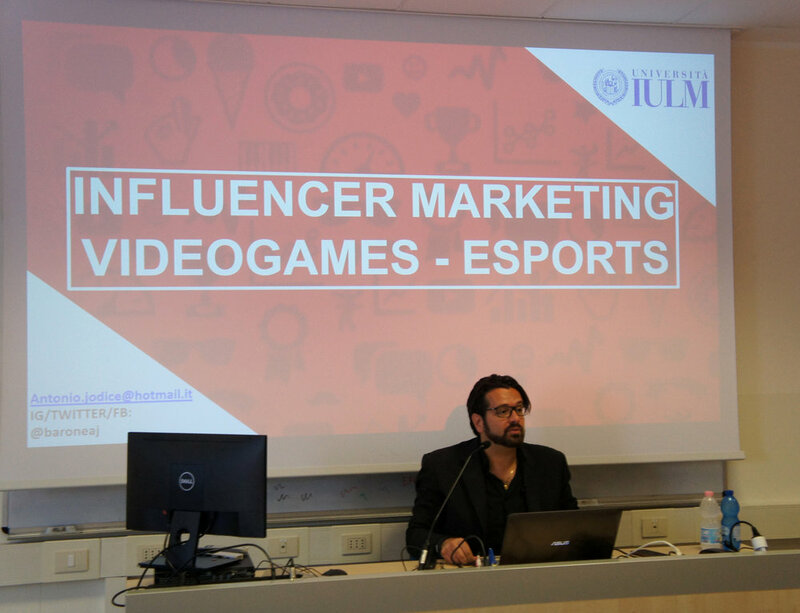 In questa lezione tenuta per gli studenti del Master in Marketing e Comunicazione Sportiva e Master of Arts in Game Design intitolata "Influencer Marketing. 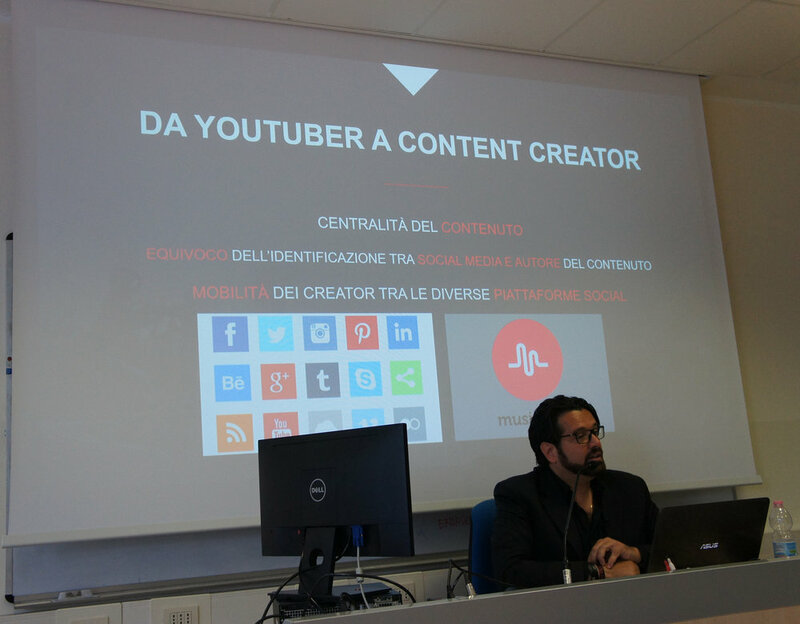 Video Games and eSports", Antonio Iodice illustra l'evoluzione dei content creator italiani su YouTube e Twitch. Branded Content, product placement, quali aziende e come. Introduzione del mondo eSports e dei Twitcher. Differenze del mezzo e della figura rispetto ai creator. Difficoltà legate all'anomalia del mercato Italiano di cui sopra. Modello di business e problematiche per le aziende che vogliono investire sul settore. Ruolo delle agenzie di Management ed economie. Antonio Iodice è stato uno dei caporedattori di Multiplayer.it dal 2002 al 2015, dal 2006 advertising e poi, dal 2013, marketing manager di Multiplayer.it. Dal 2015 è passato nelle fila di Web Stars Channel, l'agenzia nelle cui fila militano talenti come Favij e i Mates dove ah svolto il ruolo di Head of Gaming, Movies e Tech oltre che di coordinatore commerciale. In questa veste, Iodice ha seguito due stagioni di una trasmissione tv per Sky Uno, il lancio di un pop up channel per Sky Atlantic e ha svolto il ruolo di curatore generale per la realizzazione di due documentari sempre su Sky Atlantic sul tema dell'esports e cosplay. 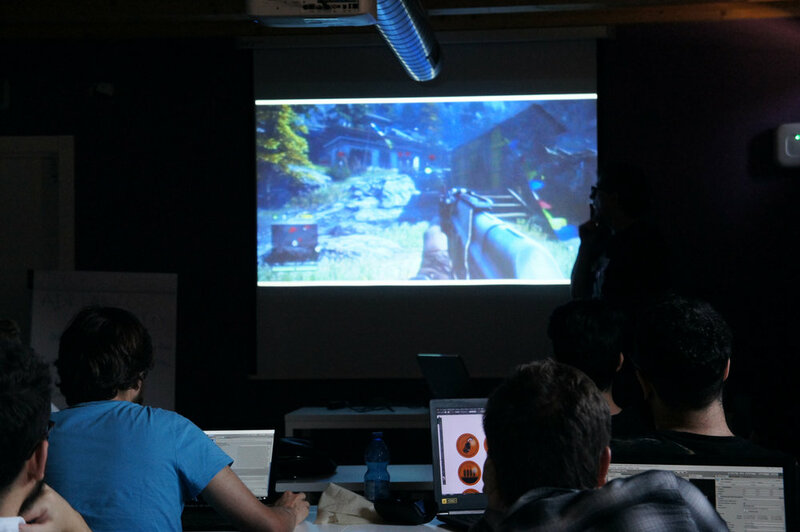 Today, Affinity Project's Creative Director Diego Ricchiuti and Gameplay Programmer Carlo Simetti gave a lecture for the students of the Master of Arts in Game Design. Based in Bergamo, Italy, Affinity Project is currently developing the "first ever donation game". Due for a Fall 2018 release, Don-Ay is an endless runner in which players guide cartoon animal characters through courses littered with hurdles, obstacles, and hazards, with a Tamagotchi-style mode allowing them to nurture for and customize their creature. The more the players engage with the game, the more they can raise money for charity through non-invasive, disruptive ways. In the second part of the workshop, Diego and Carlo provided great feedback to the students who are now in crunch mode - their final projects are due by the end of July. Before launching Affinity Project, Diego worked at Techland and Ubisoft. Affinity Project was founded by Ivan Paris and now features a team of 10+ members. Their HQ is located in Bergamo.